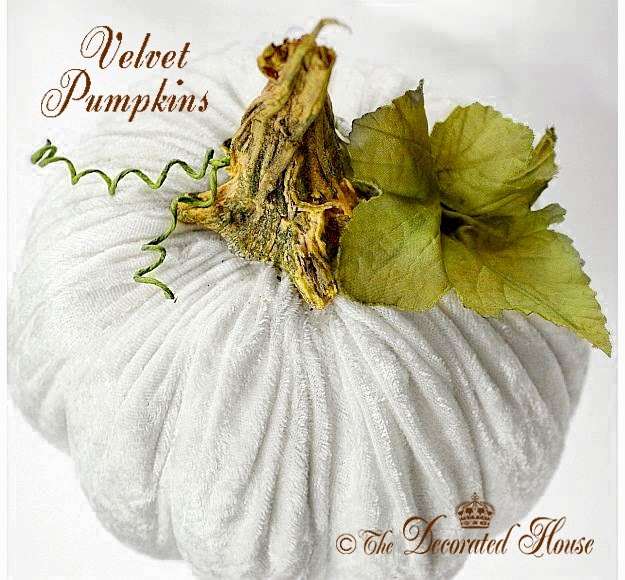 Exquisite velvet pumpkin, dear friend!!! I'll be watching for an Autumnal decor @ The Decorated House, doon!!! So nice to see you! We are still pretending it's almost fall way down here :) just I fee like doing a little decorating. It will be here soon enough though, and the cold weather follows ... so I can wait. Thanks for stopping by!